Buffalo Sauce recipes are all too often more complicated than they need to be. 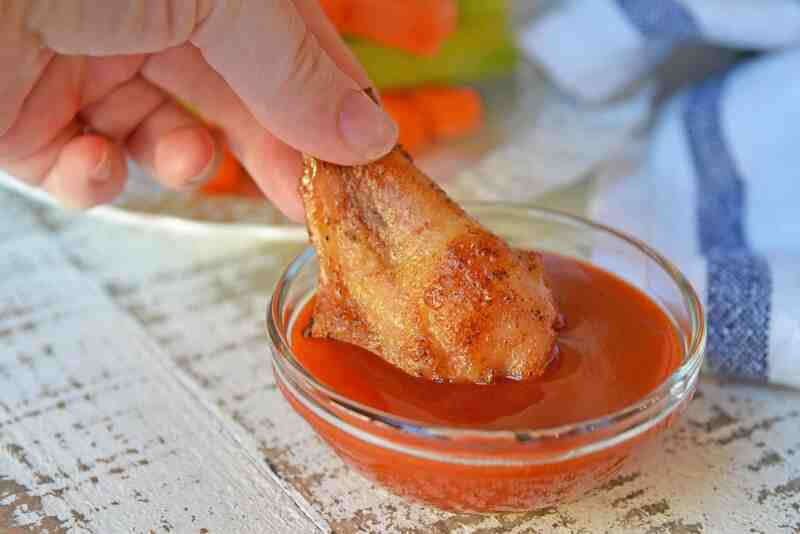 There are only a couple of buffalo sauce ingredients needed for the classic wing sauce. 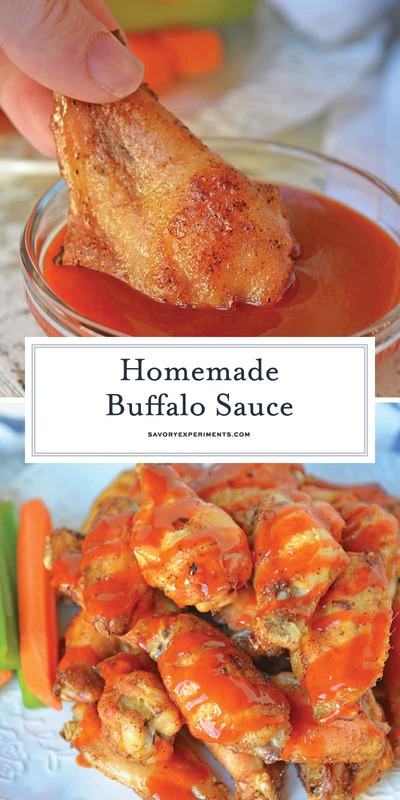 Homemade Buffalo Sauce is an easy blend of just two ingredients! 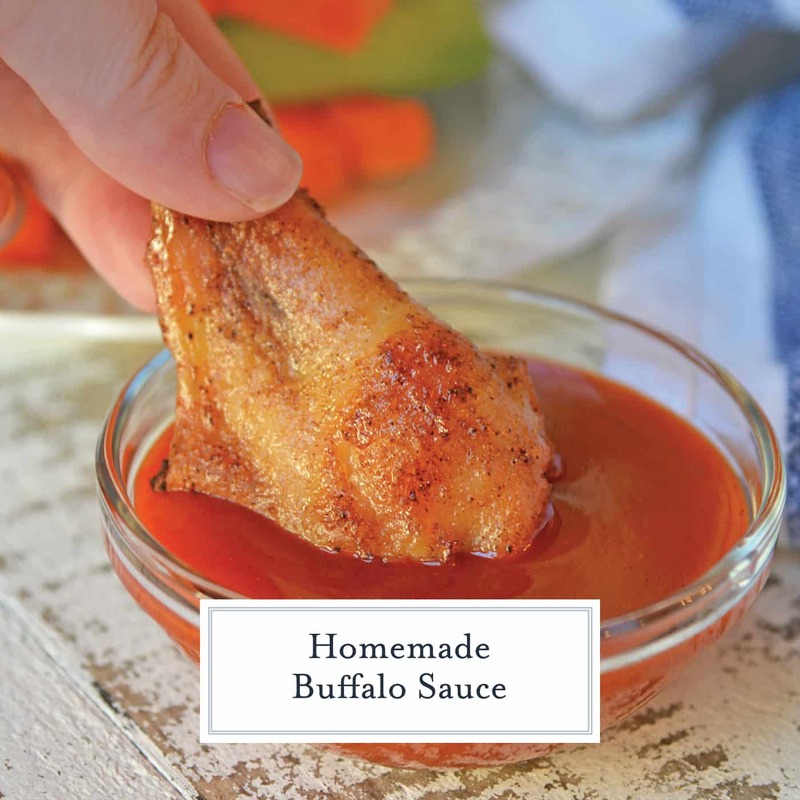 Use other wing sauce ingredients to make fun twists for all your buffalo recipes! Before I share all I know about buffalo sauce, let me tell you about the time I went on a date with John Stamos, yes, Uncle Jesse from Full House. I attended a wedding in Buffalo with my husband. It was winter, cold and dreary. We got to the airport for an early flight back to Baltimore, but were a little sad we missed out on going to the famous Anchor Bar, home of the Buffalo wing. The home of real, iconic Buffalo wings. Luckily, there is a 24 hour Anchor Bar at the Buffalo Airport. We sat down for some breakfast wings. Still traditional buffalo wings. No breading, fried and tossed in their “proprietary wing sauce recipe”. I use the term proprietary lightly since everyone now knows it. There was one other table in the small space, all carrying on and laughing. We sat down and ordered when my husband starting texting me (from across the table). Hey… is that Uncle Jesse? Me: No… he is too short. John Stamos is much taller and more handsome. We sat in silence eavesdropping, as one does when they think they might be sitting next to Uncle Jesse. Lo and behold, it WAS him! I totally Instagram stalked him and he had just posted his own plate of hot wings from the Buffalo Airport Anchor Bar. Uncle Jesse was eating hot wings sitting right next to me! OH. MY. GAWD. So now onto the buffalo sauce recipe… hot wing sauce ingredients are typically a base of vinegar or butter. Generally speaking, the two are on a continuum; the more butter the more mild, the more vinegar, the spicer. Different types of chile powder are used, but generally it is a basic cayenne pepper. 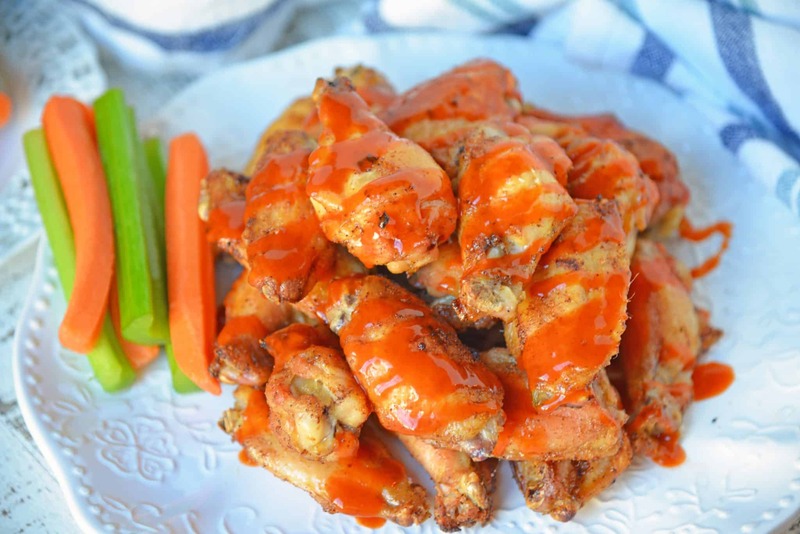 Anchor Bar Buffalo Wing Sauce is only two ingredients: Frank’s Red Hot Sauce and Butter. Yep. Kind anticlimactic. But I promise you, when you whip those two ingredients together, magic happens and suddenly you will realize that more isn’t always better. 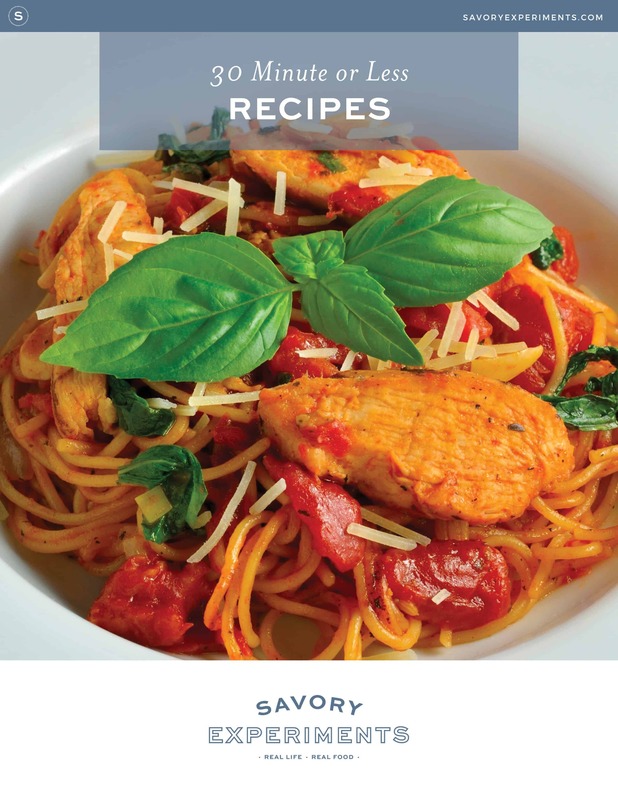 Sometimes the best recipes are keep simple for a reason. Those are the only two ingredients in their classic buffalo wing sauce. Check out my recipe notes for some buffalo sauce alternatives to add a little more pizazz. 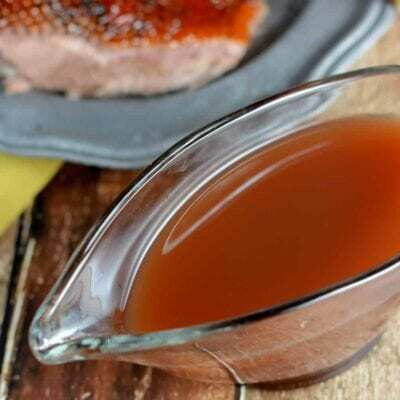 Heavy Bottom Sauce Pan– this will be one of your most used kitchen tools. Having something that is heavy bottom will distribute heat better and prevent burning whether you are using an electric or gas range. Ramekins– I like giving folks their own individual sauce cups. Then you don’t have to worry about double dipping! use them for buffalo sauce, blue cheese or ranch dressing! Ramekins are also great for ingredient preparation and baking mini soufflés. 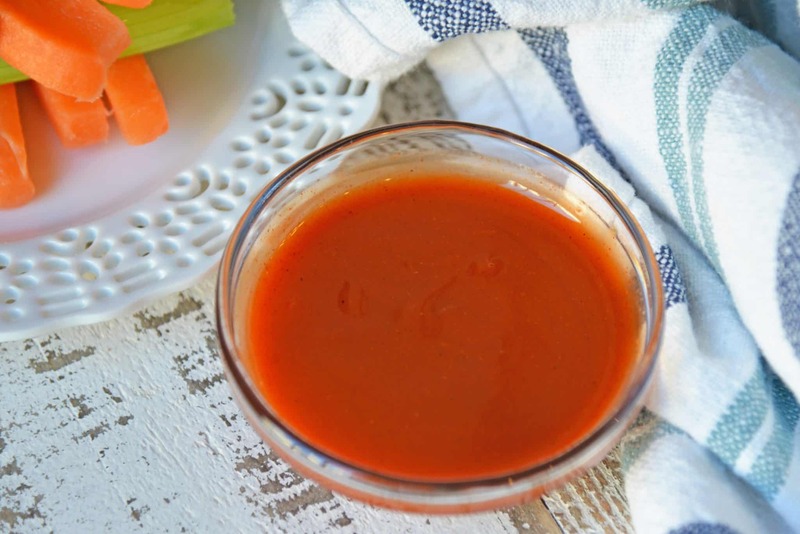 Homemade Buffalo Sauce is an easy blend of just two ingredients! 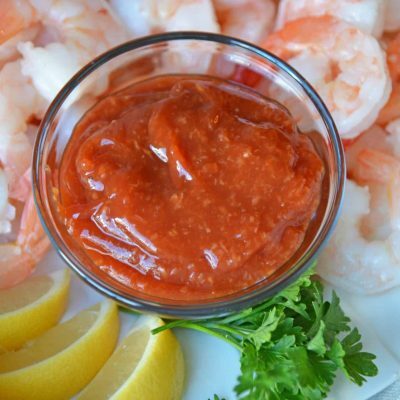 Use other buffalo sauce ingredients to make fun twists for all your buffalo recipes! Whisk Frank's Red Hot Sauce with unsalted butter over medium heat until fully incorporated. Use on your favorite wings or in your favorite buffalo recipe. 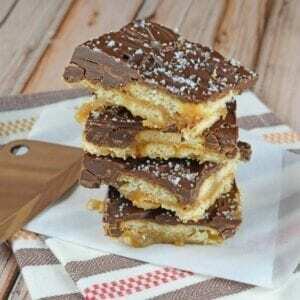 If you've tried this recipe, make sure to come back, rate it and leave us a comment! Garlic Buffalo Sauce- add 1 teaspoon granulated garlic and/or 1 fresh garlic clove while whisking. Jalapeno Buffalo Sauce- add 1 minced fresh jalapeno while whisking. Super Spicy Buffalo Sauce- add 1 teaspoon crushed red pepper and/or 1/2 teaspoon of cayenne or ground ghost pepper while whisking. 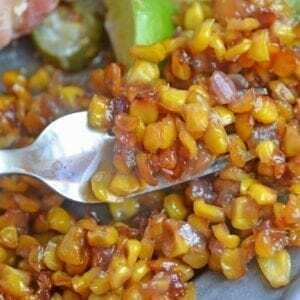 BBQ Buffalo- Add 2 tablespoons of your favorite BBQ sauce while whisking. What a fun story! I also <3 Uncle Jesse … and Buffalo sauce! LOL. I still can’t beleive I didn’t actually think it was him. I would dip everything into this. Nothing beats homemade! I am not much for spicy sauces but I HAVE been wanting to red buffalo sauce! I just might try this version!! This is totally staple in my kitchen! Love buffalo sauce like woah! I love buffalo sauce, and the spicier the better. I am going to give this a go for the super bowl party we are hosting. Once you start making your own Buffalo sauce, you never want to go back. It’s so easy, right? Makes a big difference in recipes. I love this! I love buffalo sauce! Can’t wait to try this! I made it and it was so good!!!!!! Yay! Thanks for stopping by to let us know! 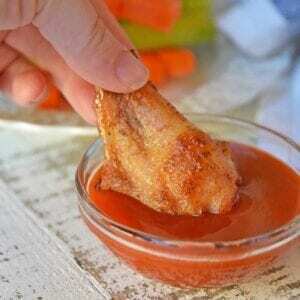 OH buffalo sauce….so delicious and now I find soooooo easy. Simple and delicious. I will have to use this recipe the next time I have chicken wings or nuggets. Such a flavorful sauce and yet so easy! 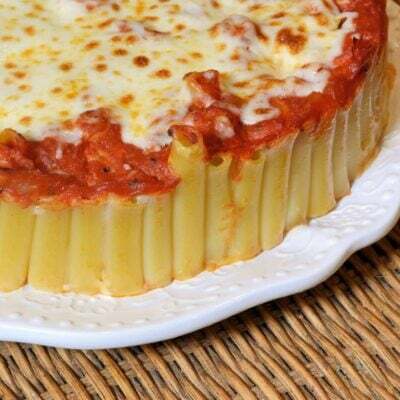 Can’t believe it takes just 2 ingredients!